Water damage is the nightmare of every homeowner, whether it's a burst pipe, a hard rain, or simply forgetting to turn off a faucet, water can do a large amount of damage in a short amount of time. Flooding water damage will need to be cleaned up. Water damage is the nightmare of every homeowner, whether it's a burst pipe, a hard rain, or simply forgetting to turn off a faucet, water can do a large amount of damage in a short amount of time. The problem must first be corrected, such as a burst pipe or an inadvertently left on hose or faucet, or the environment must reverse itself, such as a flood, before any water damage clean up can begin. Assess the level of damage to your home. If you have a limited amount of damage, there are many things that you can do yourself. If drywall, floors, etc. have been completely destroyed you may need to call in a professional. Determine what is within your capabilities before continuing. Get fresh air moving through area with water damage. Open windows, turn on fans, etc. This is going to help dry the area, and will also help to reduce smells later. Turn on a dehumidifier as quickly as possible. Dehumidifiers take moisture out of the air, so this will help you in your water damage clean up efforts. Remember to check and empty the tank often. You are going to want to run your dehumidifier until things are completely dry to avoid mold and mildew in your home. Pick up any papers, books, photos, etc. If they are not valuable and are heavily damaged, throw them away. You can make photocopies of most paperwork and then throw it away. If valuables have been damaged, freeze them in a frost-free freezer and consult with a water damage professional as soon as possible to see if they can be saved. Use a wet/dry vac and clean up as much of the water as possible. This will be especially helpful for carpeted areas, upholstered furniture, even tile or wood floors. Continue this process until you have gotten the bulk of the water damage cleaned up. Clean wood surfaces that have been affected by the water. A mild detergent and clean water can be used on wood that has been treated. You'll want to remove the water as quickly as possible by wiping with a dry rag, then use fans and a dehumidifier for additional drying. Clean other surfaces in the area with a mild detergent and clean water. Many of these surfaces can also be scrubbed with a small scrub brush if needed. Inspect any drywall to see if it needs to be repaired. As a general rule, you can probably dry it with a fan as long as it hasn't swelled and the seams are still intact. If there is swelling or the drywall seams have separated, you will need to replace the damaged area. 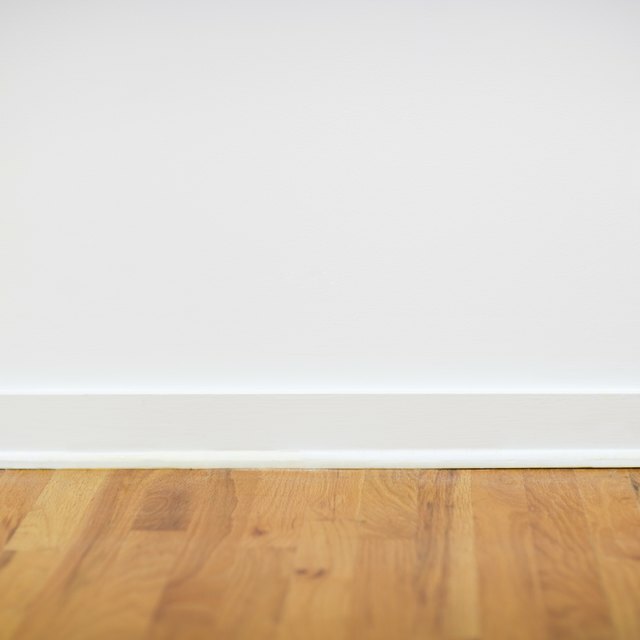 Even if you can dry the drywall without replacing, you may need to prime and paint the damaged area. Dispose of any ceiling tiles if they have been damaged by water. They are not worth cleaning and they are mold magnets once they have become wet. If insulation has been affected by water damage, chances are that it will need to be replaced. If you feel that you water damage is so severe that you can not take care of it yourself, call a water damage professional. In the meantime, clean up as much as possible and try to repair or stop the cause of the water damage so no additional water is coming into your home. If your water damage is a result of contaminated water, DO NOT turn on fans. Vacate the house immediately and call a water damage professional right away. If insulation has been affected by water damage, chances are that it will need to be replaced. If you feel that you water damage is so severe that you can not take care of it yourself, call a water damage professional. In the meantime, clean up as much as possible and try to repair or stop the cause of the water damage so no additional water is coming into your home. If your water damage is a result of contaminated water, DO NOT turn on fans. Call a water damage professional right away. How Do I Protect My House Against a Nuclear Attack? What Is the Best Natural Conductor?